The beauty of the Code on Dental Procedures and Nomenclature is that it’s a living document; annually evaluated and updated to best meet dentists’ needs. 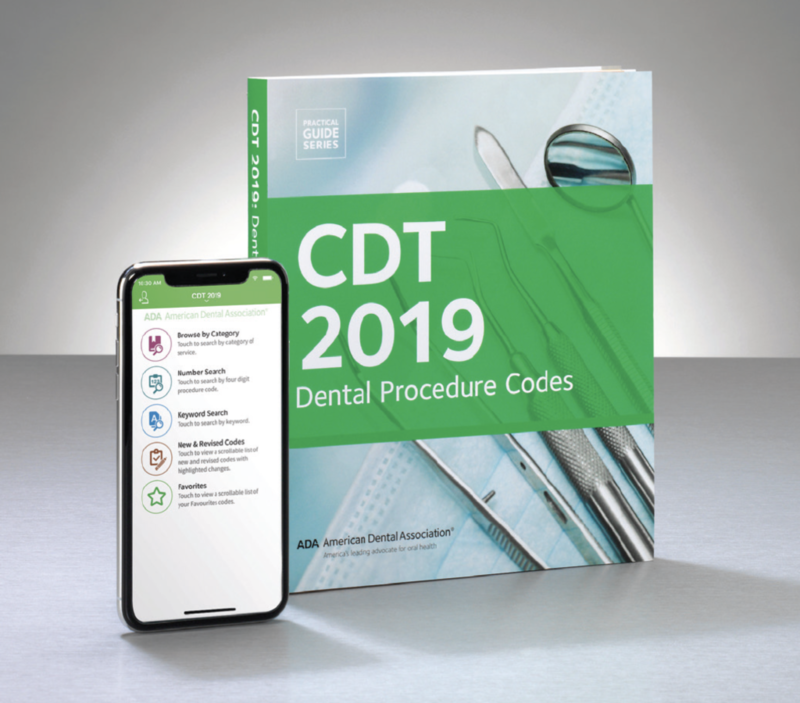 CDT 2019 contains the latest version of the ADA’s dental procedure code set, and there are several additions this year that new dentists can be on the lookout for to use in their practices. • D0412 blood glucose level test-in-office using a glucose meter. This code was adopted so that dentists could report checking their diabetic patients’ blood sugar before undergoing a procedure. • D9613 infiltration of sustained release therapeutic drug – single or multiple sites. Dentists are utilizing a sustained release pharmacologic agent infiltrated at the surgical site to reduce the use of narcotic pain medicine in their pain management protocol. • D9944-D9946 occlusal guard codes. This suite of codes includes separate codes, ones for a hard appliance, full arch; soft appliance, full arch; and hard appliance, partial arch. For more information on the codes, visit ADA.org/CDT.